The Russian Bolshevik government signed the Treaty of Brest-Litovsk Peace on March 3, 1918, thus ending Russian participation in the First World War. This decision has been perceived by the allies of Russia as a great treachery and became the most important determinant of their attitude toward Soviet Russia. However, even before the Bolshevik Revolution, Russia and its allies had already lost confidence in their partners’ sincere willingness to help one another. The example of the Russian-French partnership may reveal the origins and causes of mutual perception and of lost faith of the Eastern and Western allies and may demonstrate how this perception affected their relations. The case of the Franco-Russian relationship is even more relevant because through this channel was realized the strategic coordination of the allies’ military efforts on the two major fronts of the First World War. The Russian Empire and France became allies in 1892 and by the outbreak of the Great War they’d had considerable experience in interacting in the military sphere. The General Staffs of both sides had elaborated plans of mutual military support and the two societies had developed their expectations concerning their role as allies in an eventual war. Before the war, French strategists presumed that Germany would use the majority of it’s forces in the west and it seemed that this would make Russia’s mission easy to accomplish. After the war started, this image initially seemed correct. The Russian invasion into Western Prussia helped the French to win the crucial battle at Marne by limiting German manpower on the Western Front. However, even before the failure of the Russian operation in Western Prussia, the Russian ambassador in Paris A. Izvolsky wrote to Petrograd: “I am afraid that the French will overestimate our success and will expect from us the impossible. It is therefore very important to inform the public here about the real nature and difficulties of our military operations”. It was his first but not last warning; he repeated it several times later. In addition, he was right. When the French soon learned about the defeat of the 2d Russian Army in Western Prussia instead of its seizure of Berlin, this event became France’s first serious disappointment in its Russian ally. The French Supreme Command and French society in general could not understand why the colossal Russian Army was unable to defeat the less than 20% of the German Army deployed in the east, taking into account the simultaneous Russian offensive into Austro-Hungary. The fading hope of rapid victory strengthened dissatisfaction and disappointment on both sides. At the same time, the growing interconnectiveness of the Western and the Eastern Fronts became absolutely evident. In various periods of 1914-1917 the opinion that one ally was trying to shift the major burden of war away from his front by making the other’s burden heavier spread in both Russia and France. The myth of the “Russian steamroller” finally collapsed in the campaign of 1915 during the coordinated German and Austro-Hungarian offensive on the Russian Front. The numerical superiority of the Russian Empire proved to be useless in a situation where many Russian conscripts were not armed and Russian artillery could fire only one shell in for every 10 the German’s fired. During the period of so-called “Great Retreat” in the summer of 1915, Russian society tended to believe that one of the causes of this disaster was the allies’ unwillingness to help. Russian confidence in France’s economic and financial capabilities was as firm as French certitude in Russia’s human resources. Therefore, the only explanation for the absence of a stable and considerable supply for the Russian Army of weapons and ammunition from France could be the hesitation of the French government. Even Russian military representative in France who better knew the details of the situation could not explain why the French Commander-in-Chief, General Joffre recommended to give to Russia the necessary artillery shells only when French factories had produced “more than enough” for the French Army. Now we know that this Russian disappointment was not absolutely justified because the French government finally made decision to give some military material to Russia immediately, but their production and delivery was seriously delayed by the producing company. The stagnation on the Western Front and the relative inactivity of the French and British forces became additional evidence to Russian society of France’s reluctance to make Russia’s war burden easier. Massive transfers of German troops from the Western Front to Russia were attributed by Russians to the allies’ inactivity. French liaison officer, Major Langlois, during his third visit to Russia in June and July 1915 was astonished by the coldness of the Russian generals in the headquarters and the undisguised hostility of Russian officers he met with. He described this in detail in his report to the French Supreme Command and even tried to explain these facts by “the traditional Russian xenophobia”. From then until the end of the War, he made four more trips to Russia and in all his extensive reports the issue of the Russian public attitude toward the allies was examined in detail. During the summer of 1915 many Russian newspapers openly stated that their French allies had abandoned the Russian army in disaster and Russia shouldn’t rely any more on foreign support. One Russian newspaper, “Birzhevije Vedomosti”, on July 1915 has published the article directly blaming the Western allies for the Russian defeat. That even forced the British military representative to the Russian Supreme Command Headquarters, General Williams, to demand officially to stop anti-allies campaign in the Russian press. He had learned that this publication was inspired by the military officials at the Headquarter and this information proved to be correct. Russian High Command of the Army in its turn has tried to organize the public pressure to make the allies more active. In the autumn of 1915 the main strategic problem for the Entente was the Central Powers’ combined offensive against Serbia. Russia, France and Great Britain discussed several options of military support for Serbia and this again became the source of the mutual dissatisfaction. While Russia was actively supporting the idea to send allied forces to Serbia through Greece, for some reasons Russia would not agree to detach its troops for this expedition. At the end of November 1915, it became clear that none of the Entente attempts were successful. The Russian Supreme Command had prepared an offensive against Austro-Hungary to try to force the enemy to stop their actions against Serbia. According to the report of the official Russian military representative in the Grande Quartier Général, General Zhilinsky, he delivered Russia’s request that France and Britain support the offensive by organizing an attack in France or the Balkans. In response, the French Commander-in-Chief, General Joffre, said with certain irritation: “It seems that France is fighting alone! The others just ask us for support!” This remark caused a sharp reaction from the Chief of Staff of the Russian Commander-in-Chief, General Alekseev. He ordered General Zhilinsky to respond firmly and officially to any such “insults”. The problem of the effective exploitation of Russian human resources became another source of mutual dissatisfaction between the two countries. By the end of 1914 when it was becoming obvious that the war would last a long time, France learned about the serious lack of armaments in Russia. This situation led to an idea in France that became very popular of using Russian soldiers on other fronts of the war. First, the idea to send Russian soldiers to France was expressed by the British ambassador in Petrograd as early as August 1914. Later, France several times tried to convince Russia to send Russian soldiers to France and the Balkans. The negative position of the Russian government and Supreme Command on this issue provoked rising dissatisfaction in French public opinion that the French Government was using from time to time in order to influence the decisions of the Russian Government. Publications in French newspapers calling for the revision of French and British promises given to Russia were perceived in Petrograd as a serious threat. The most sensitive among those promises was the question of the future control over the Bosporus. Finally, Russia was forced to partially satisfy the requests of its ally. In 1916, four Russian infantry brigades went to France and Thessalonica, but it was only about 10% of the original French request. It was a kind of compromise that did not satisfy either side. The initial French enthusiasm about Russian soldiers coming to rescue France from the German invaders turned into disappointment when they learned that Russia had no intention to send to France more than 20 thousand soldiers. In turn, Russian generals in the headquarters were insulted by almost direct proposition of France to exchange the soldiers for weapons. During some periods of military success, the mutual perception ameliorated. The unexpected victory of General Brusilov’s offensive on the Russian Southwestern Front in the summer of 1916 at first caused great enthusiasm in the West. The promising start of the battle on Somme has raised hopes in Russia that victory was at hand. For some period of time, resentments of the past months were almost forgotten. However, the unsuccessful end of the 1916 campaign led to the revival of mutual mistrust in France and Russia. The development of events was giving additional reasons for mutual suspicions, most of which were absolutely groundless. The situation around Romania’s entry into the war became another irritant. Romania declared war on the Central Powers in August 1916 and shortly thereafter the Romanian army was defeated by the joint attack of the German, Austro-Hungarian and Bulgarian armies. Russia was forced to send significant forces to replace destroyed Romanian divisions and to fill the gap on the front. In fact, Russia needed to form in a hurry a new front approximately 400 km. long, in which the Romanians occupied only about 30 km. The new French Commander-in-Chief, General Nivelle, could not understand why the Russians and Romanians were unable to stop the enemy. When Langloi returned from Russia after another visit, he gave to his command a good explanation. In his report, he presumed that Russians consciously led the Romanian army to destruction so as to be able in the future to influence this weakened ally that would be grateful for its salvation. This conclusion was a product of the officer’s imagination and prejudice but since he was regarded as an expert in this area, it was accepted. General Nivelle was so angry that he even tried to directly demand of the Russian Supreme Command to remove the Commander of the Russian forces in Romania, General Sakharov. According to a rumor spread in France, Sakharov didn’t care about his troops and was passing all his time with his young wife. This intervention of the French military leader could have led to an open conflict between Russian and French military leadership if General de Castelnau, whom Nivelle entrusted with this mission, had not been a good diplomat. Almost at the same time, the head of the Russian delegation at the Paris military conference of the Entente, General Dessino, reported to Petrograd his thoughts on the situation: “My impression is that the English and French pursue a policy of their own countries defense with minimal casualties and maximum comfort, trying to put the rest on our shoulders... They don’t sacrifice anything to us but they demand sacrifice from us. I report that we can demand from Joffre or Robertson the real support only by clearly defined threat but not by indecisive requests. We are too polite here and to polite with their representatives in Russia”. This opinion was also based on the wrong perception of the Russia’s partners’ intentions. In fact, in the future campaign of 1917, the French and British intended to make the major military effort on their front and were ready to give to Russia some weapons and ammunition necessary to help the Russian Army be more active. 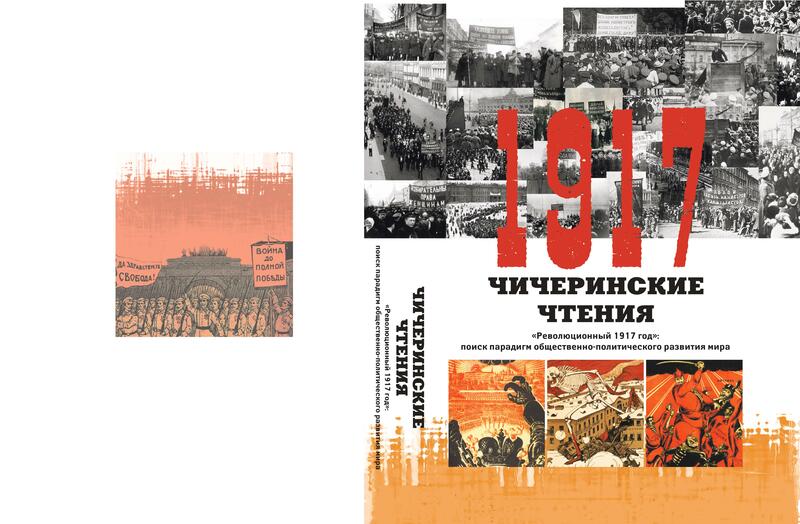 The February 1917 revolution in Russia caused controversial feelings in France. On the one hand, French society greeted the establishment of a democratic republic instead of monarchy in Russia. On the other hand, the news from Russia provoked a rise of anxiety and frustration. The fast and dramatic decline of the Russian army’s fighting efficiency was undermining the hope of victory in this year. The frustration grew after the disastrous attempt of the French and British armies to break the German defense in April 1917, which was not supported by a supporting attack by their Russian ally. The failed Russian offensive in July added fuel to the fire. Therefore, when the Bolsheviks came to power in November 1917 and signed the armistice with Germans, the two allies already had a considerable list of mutual complaints. Today we may say that the mutual misperception and disappointment of the two partners at the beginning of the First World War originated from the gap between unrealistic expectations and reality. Later, on most of occasions, it was caused by the lack of information about the nature and the scale of the partner’s efforts. The two fronts and the two armies seriously differed from one another and it was quite difficult even for French and Russian generals to understand the nature of the battles on the other front and to evaluate correctly the partner’s military contribution. For the two societies in general it was even more difficult to do it. It would be wrong to say that the two governments and military commands didn’t understand or underestimated the seriousness of this problem. Both sides were trying to get information about the situation on the other’s front and to inform the partner about one’s own efforts. In 1915 France and Russia agreed to promote better understanding between the two societies through an exchange of various visitors. For example, according to the annual report of the Russian military attaché in Paris, in 1916 74 Russian military officers and 42 civilian officials and reporters visited France. Many of them were allowed to visit the front. Some Russian members of the military, mostly air force pilots, were even affiliated with some French units and participated in combat. However, usually those visits were rather brief and they were regarded mostly as a symbolic demonstration of the allies’ solidarity in the war. Most of the mutual complaints were not justified. After the beginning of the war both sides realized very quickly the extent of their mutual, strategic interdependence. This interdependence inevitably forced them to care about the other’s military success. In August 1914, when Russian Commander-in-Chief, Grand Prince Nikolaj Nikolajevich, ordered the unprepared armies of the Northwestern front to attack the enemy, the act was regarded in France as an act of “chivalry”. A year later, General Joffre made a great effort to overcome the resistance of the French government to start an offensive, which was planned to help Russia to stop the Germans and Austro-Hungarians. He frankly told the President of France, R. Poincaré, that it was their duty to help the Russians. However, these realistic considerations were often colliding with a natural tendency to find someone else to blame for the war difficulties. The conflict between the Soviet government and the former allies of Russia just strengthened the mutual exasperation. This process finally led to the development of a deep-rooted mistrust, which seriously affected relations between Russia and France, and between Russia and the West in general. Even when in the late 1930s the resurrection of the German threat became obvious, this mistrust created an additional serious obstacle to the formation of a new alliance which probably could have prevented a new war. The telegram of A.Izvolsky to Petrograd on August 25, 1914 г. Russian State Naval Archive in Saint-Petersburg (RGAVMF) Ф.418, О.1, Д.4382, Л. 20. Reports of major Langloi. Service Historique de l’Armee de Terre, Paris (SHAT). 7 N 1547. Емец В.А. Очерки внешней политики России в период первой мировой войны. Взаимоотношения России с союзниками по вопросам ведения войны. М., 1977. (V. Emetz. 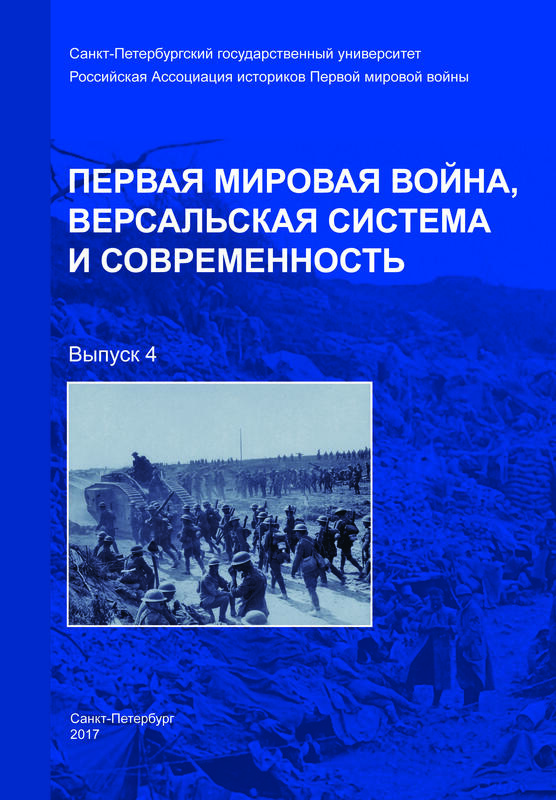 Essays on the Russian foreign policy during the First World War. Relations between Russia and it’s allies concerning the waging of the war.) P.190-191. Telegram of Zhilinsky of Dec. 13, 1915. Russian State Military Historical Archive in Moscow (RGVIA). Ф. 2003, О.1, Д.1165, Л.62. Telegram of general Nivelle of Jan.6, 1917. Les armées françaises dans la Grande Guerre (Publications du Service historique de l’Armee). T. V. Vol. 1, Annexes Vol.1. P. 661. Telegram of general Dessino of Nov. 21, 1916. RGVIA, Ф.2003, О.1, Д.1165, Л.553-554. 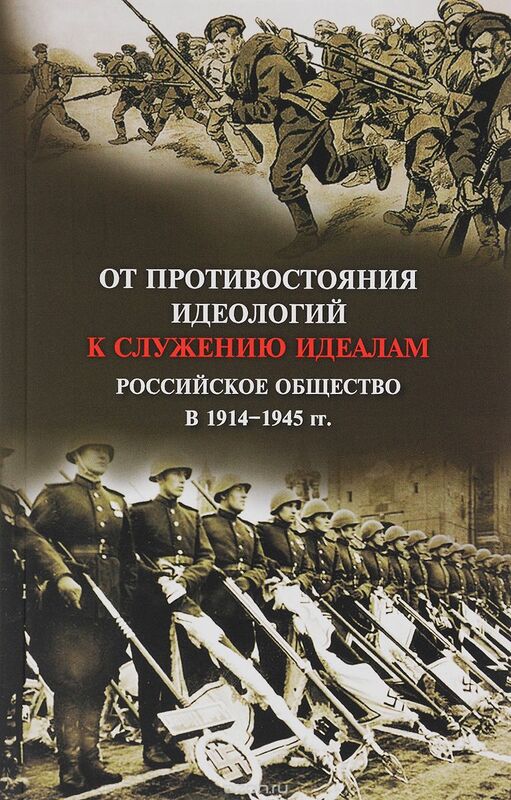 Annual report on the activity of the Russian military mission in France in 1916. RGVIA, Ф.2003, О.1, Д. 1151, Л.74.